A famous psychological test asks children to sit in a room with a marshmallow or cookie for 15 minutes. Those who can delay gratification and endure the torture of temptation get a second sweet treat as reward. Their self-discipline is also likely to lead to success later in life. The Notre Dame Department of Psychology turns 50 next year, and its patience and growth will soon generate a significant reward – a new building attached to Notre Dame Stadium to call its home. The East building of the Campus Crossroads project will provide classrooms, offices, laboratories and a student lounge for the Departments of Psychology and Anthropology. Construction is expected to start in November and be finished in 33 months. 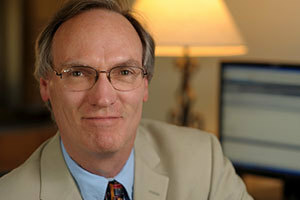 In its nearly half-century history, Lapsley said his department has grown substantially in the size of its faculty, in their research ambitions, and in their national and international reputation. That reputation has translated into real impact – three psychology faculty members have been awarded prestigious National Science Foundation career grants and five graduate students have NSF fellowships. Lapsley said bringing the faculty together in one location will enable better collaboration, create synergy in research, and improve student-faculty interaction and community access. “It’s going to be a real game-changer for us,” he said. One type of research that will benefit is the study of sleep – the plans call for a new, larger lab with cutting-edge equipment. 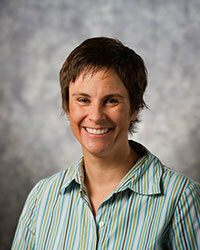 Jessica Payne, an assistant professor who holds the Nancy O’Neill Collegiate Chair in Psychology, recently conducted experiments and published an article showing that going to sleep shortly after learning new material greatly benefits recall. Payne and her colleagues led a team that studied 207 students to test their recall of both related and unrelated word pairs. They found that subjects’ memories were superior when sleep occurred shortly after learning, rather than following a day of being awake. Sara Alger, a postdoctoral researcher from Texas who works with Payne, said they were able to participate in designing the ideal lab space. It will have another bedroom so they can run more sleep studies, with one room specifically dedicated to conducting stress manipulations to measure the impact on memory formation. The new lab will have more space for graduate students, better computer resources and more storage. The process Notre Dame used to decide which departments would move into the new facilities was a deliberate one. The University formed a committee of faculty and space management experts to collect and vet proposals for academic occupants of the Campus Crossroads Project. Many proposals were received from the colleges and schools and culled from the existing strategic plans of the University, colleges and schools. Each proposal was carefully examined by the committee and a team of architects and building consultants to determine which provided the best uses for the Crossroads space and best reflected the existing priorities in the University Strategic Plan. Notre Dame is investing in the infrastructure to support all the social sciences, an area of growing scholarship in the University that addresses many of society’s most pressing questions and concerns. The new location for the Departments of Psychology and Anthropology will also bring them both in closer proximity to the University’s new social sciences and international studies buildings: Jenkins Hall and Nanovic Hall. The Department of Psychology has about 40 faculty members and 70 doctoral students conducting research in four program areas: clinical; cognition, brain and behavior; developmental; and quantitative psychology. In addition it has joint doctoral programs with the Department of Computer Science and Engineering and with the Kroc Institute for International Peace Studies. The faculty includes nationally visible and internationally renowned scholars in all areas of study, including five faculty colleagues who hold endowed chairs and three who hold collegiate chairs. Ten faculty members are editors or associate editors of 12 important journals in their respective fields. The undergraduate program has approximately 450 majors—the second largest in the College of Arts and Letters. Upon graduation many psychology majors pursue graduate work in psychology and related fields, pursue professional training in medicine or the law, or enter the private sector. Many students work alongside faculty members as collaborators in research, working in labs as a valued protégé, writing and publishing and developing skills in the tools of science. According to Lapsley, psychology is a bridge between the humanities and the sciences, a hub discipline that connects many different fields through its work with the brain. Originally published by Brendan O’Shaughnessy at news.nd.edu on September 09, 2014.